On average gluten intolerance is a condition that affects 1 in 70 Australians.1 As a result there has been an increase in demand for gluten free supplements, particularly with protein powders. Optimum Nutrition Gold Standard 100% Whey is considered as one of the top quality supplements and are still the leaders on the market for a reason. While Optimum Nutrition offers nutritional products in every category and many of the products are considered as gluten free within their whey protein range some are not labelled as gluten free. In this article, we’ll be highlighting the areas of what gluten is, which flavours are gluten free and the clear labelling Optimum Nutrition has layered their gluten free labels. Gluten is a naturally occurring protein found in wheat, barley and rye and other food products that contain these ingredients; all of which can cause discomfort for those who are gluten intolerant or are coeliac. 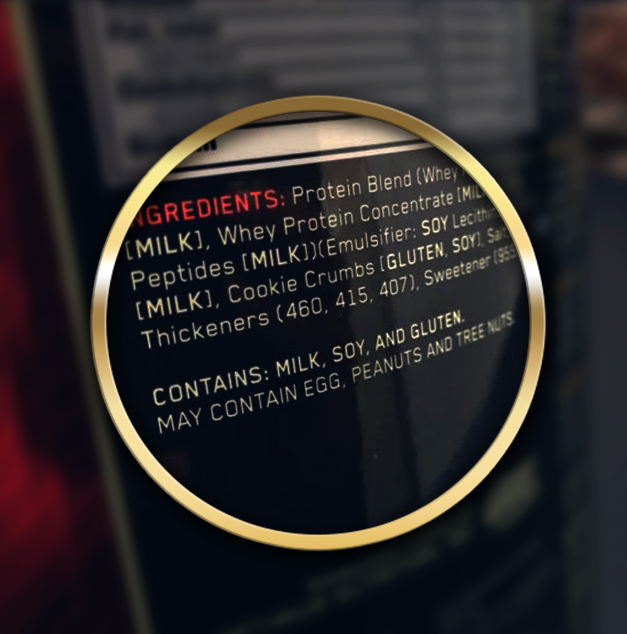 Before we go into the details of Optimum Nutrition’s features and the different flavours; examples of the Optimum Nutrition 100% Gold Standard Whey labelling are illustrated here to users to display the distinct difference of the labelling between gluten and non-gluten free. 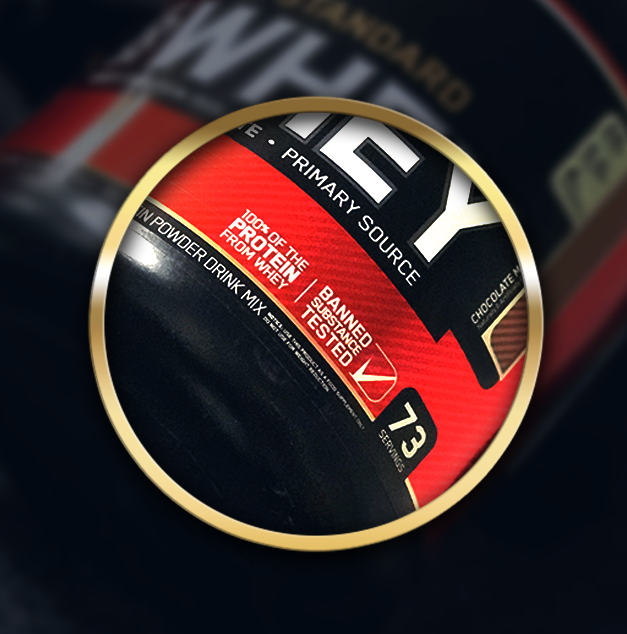 Optimum Nutrition's 100% Whey Gold Standard is a protein powder containing mostly whey protein isolates. The protein powder is used as a dietary supplement to help build muscle. One rounded scoop of protein powder contains 120 calories, 1 gram of fat, 60 milligrams of sodium, 3 grams of carbohydrates and 24 grams of protein. Note: The nutritional panel may vary slightly depending on flavour. The ON Gold Standard 100% Whey has over 20 different flavours for you to choose from including both gluten and non-gluten free flavours. From Table 1, we can see that there are more than a handful of flavours that are labelled as gluten free. It is located on the right hand corner of the supplement. Alternatively, it can also be found underneath the nutritional panel specifying i.e. 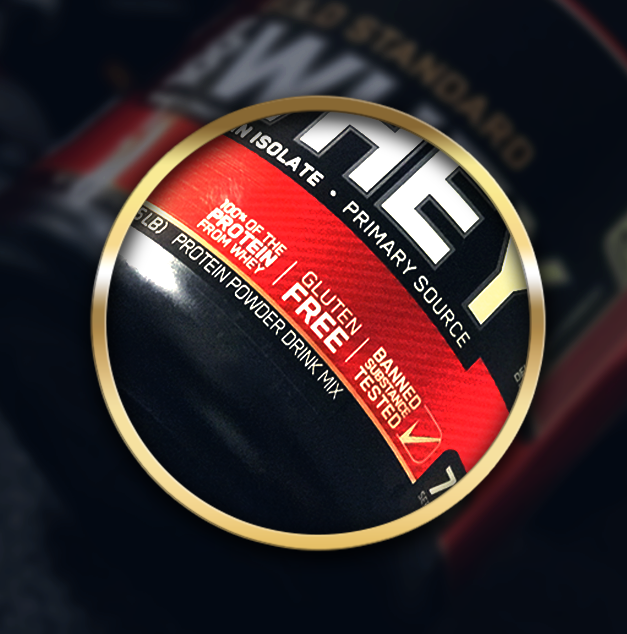 “Contains: Milk, Soy & Gluten.” The product label specified on the Gold Standard Whey is printed dark and contains vibrant colours with a shiny and smooth finish. To make it easier for customers the label is fairly straight forward and has the statement of “gluten free” specified on the front of the label. It is important to stay clear of proteins that contain glutamine peptides as most cases they are derived from wheat. As the leaders of the industry, ON Gold Standard 100% Whey uses top quality proteins such as whey protein isolates which are not gluten free. What Makes a Flavour Not Gluten Free? Within the range of Optimum Nutrition’s Whey protein powder there are 16 flavours that are not considered gluten free. Although whey protein does not contain any gluten there are still many food sources or ingredients that may contain traces of gluten and its derivatives. Some to look out for include malt, brewer’s yeast and wheat starch. Naturally, whey protein does not contain any wheat protein or gluten as it is a complete protein carrying all of the essential and non-essential amino acids in the body. Because whey protein is bland in flavour many companies like Optimum Nutrition have chosen to incorporate other ingredients to enhance flavour and come up with delicious flavours for their customers. A prime example of a flavour not being gluten free would be Optimum Nutrition’s Cookie & Cream flavour that contains added cookie crumbs which do contain gluten. However, as there are a large range of flavours it is important to check the entire ingredients list as gluten may be found in artificial colours, dextrins, modified starch, tocopherols all of which are commonly found in protein powders. This all depends on where and how they are made. Optimum Nutrition Gold Standard 100% Whey is packed with the highest quality whey protein isolate available on the market today. Every serving you take contains 24g of protein to fuel your body with the nutrients you need for optimal recovery after training. Optimum Whey flavours are top of the range catering for those who are looking for gluten free options. Finding out whether a supplement is gluten free can be challenging at times, but Optimum Nutrition has made it easier for users by their clear labelling. This article is written with the best information available at the time of writing and serves only as a guide. 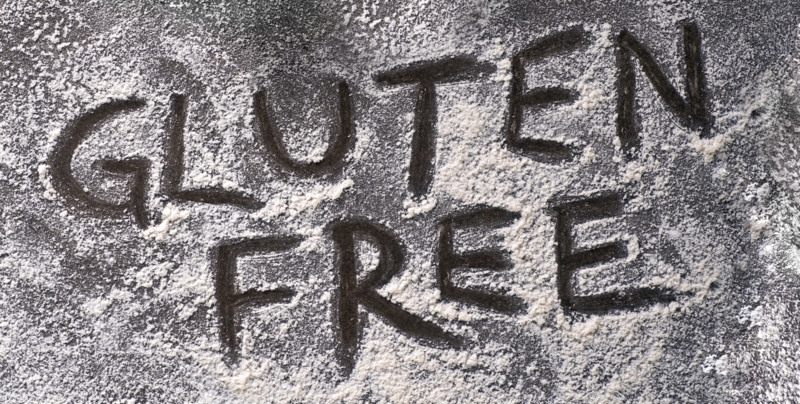 Product formulations and labelling claims may change without notice and it is up to the consumer to ensure that products are indeed gluten free.